Combination of stacker and lifting table. Fully sealed & maintenance-free bettery. Lifting operations becames easier and faster. ith us for specification for this platform truck with other loading capacities. S2S Create & Engineering Co., Ltd is a professional import of electric platform Stacker from China. Besides, we also provide customers with electric stacker, electric reach truck, electric tow tractor, scissor lift, aerial order picker, manual warehouse equipment, customized truck, and more. With high quality and competitive price, our products have been quite popular among customers from as many as 40 countries and regions, and many of our products have obtained CE and ISO9001:2008 certification. 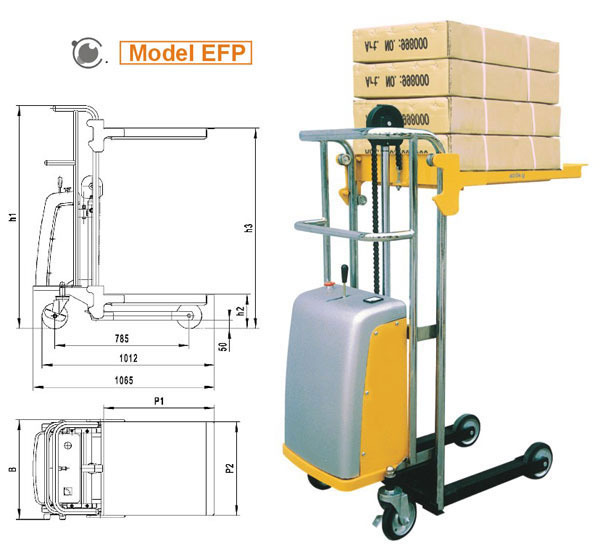 If you're interested in our electric platform stacker truck, please contact us freely.